Hello, Hello! Welcome to THE BIG BEAT BLOG! This blog is a companion to "The Big Beat" radio show hosted by Bob Vincent. Here you will find Beatles-related topics, discussions, trivia, and info on "The Big Beat" radio show which airs Fridays at Noon (Pacific) ONLY MtRockRadio.com. 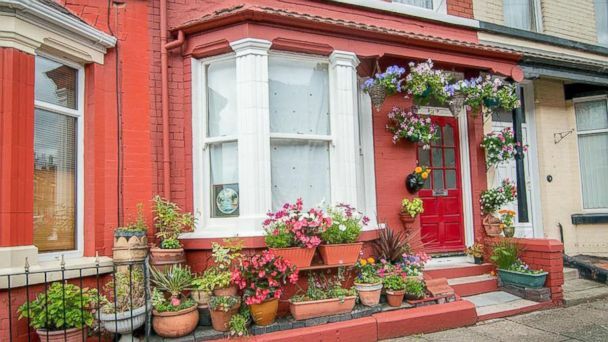 The red-bricked Victorian home where Beatles star John Lennon spent the first five years of his life was auctioned for 480,000 pounds ($770,250) this evening. The three-bedroom, mid-terraced home at 9 Newcastle Road in Wavertree, Liverpool, is located just a few minutes away from Penny Lane — the title of one of the Beatles’ most iconic tracks. The BBC reported that an American who wished to remain anonymous bought the home after a bidding war. “It has got a lot of history from when he was a youngster,” Andrew Brown, tonight’s auctioneer told ABC News. The property, that Lennon lived in from 1940 to 1945, has only changed hands a few times since the Lennon family left and according to the current owner, the property still strongly resembles the home that Lennon lived in. RINGO WANTS YOU: UPDATE!! - Fans From 1964 Photograph Found!! The magical mystery surrounding a group of teenagers photographed by Ringo Starr in 1964 has been solved. While Starr thought he may have taken the picture after the group touched down in Miami on Feb. 13, 1964, the photograph was taken days before, on Feb. 7, 1964, in New York, near John F. Kennedy International Airport. "We went back up to the front [of the limousine line], waved to each one of them, and the last one was Ringo, he's the one who went, 'Roll down your window!'" Gary Van Deursen, who was driving the car (a borrowed Chevy Impala) told the "TODAY" show on Monday. The other passengers in the car included Suzanne Rayot, Arlene Norbe, Charlie Schwartz, Bob Toth and Matt Blender. (Blender, who is glimpsed in the back right of the photograph, passed away in 2011.) The six then-teenagers all attended Fair Lawn High School in New Jersey. For his part, Starr is pleased that the reunion happened. "How great that they found these people! And how cool to now know a little of their story..."
If you were a Beatles fan living in Miami and chased down the Fab Four when they visited in February 1964, Ringo Starr wants to meet you. Ringo wants to know if you are one of the fresh-faced kids, stuffed into a convertible, who pulled up next to the band’s car on the road, trying to get the attention of the popular band members. From his car, Ringo snapped a photo of the teens — four boys and two girls; the sixth teen is barely visible in the back seat of the car. For 49 years, the drummer and avid photographer has kept that snapshot and is including it among the 240 images in his new book, Photograph, released as an e-book earlier this year . A limited print edition will be published in November. "Give Peace a Chance" - FAB Cover and Video by TheBeatleSubmarine! So John Lennon's birthday was yesterday. One of my favourite Beatle Co-op YouTube channels, TheBeatleSubmarine, have done it again; They've put their creative hearts together and produced yet another solid tribute to John Lennon. In past years they have set their tributes to the tunes of "Imagine" and "Watching The Wheels." This year they recorded their own cover of "Give Peace A Chance" and it blew my mind away! This zealous group of teens and young adults are undeniable proof that The Beatles are still as fresh and relevant today as they were fifty years ago. While many of the Submariners are separated by hundreds of miles of land or sea, their love of John has helped narrow the divide and this video is a collaborative testament to the power of the Beatles' collective and individual legacies. Turn up the volume on this one! Get ready to watch and re-watch this bright young group of Beatlemaniacs cover "Give Peace a Chance..."
Be sure to check out TheBeatleSubmarine's past tribute vids for John's 71st and 72nd birthday! HAPPY BIRTHDAY, JOHN & SEAN!! On Oct. 5, just four days before what would have been John Lennon's 73rd birthday, a Los Angeles Beatles tour guide made the shocking discovery that the John Lennon Walk of Fame star in Los Angeles had been damaged. Gillian Lomax, who conducts Beatles-oriented tours in the Los Angeles area called A Magical History Tour, said she found the star had been damaged Saturday while she was conducting a tour. The Lennon star is one of the stops on her tour. “It was totally obnoxious,” she said. “Who are these morons that would have defaced John Lennon's star?,” she posted on Facebook. 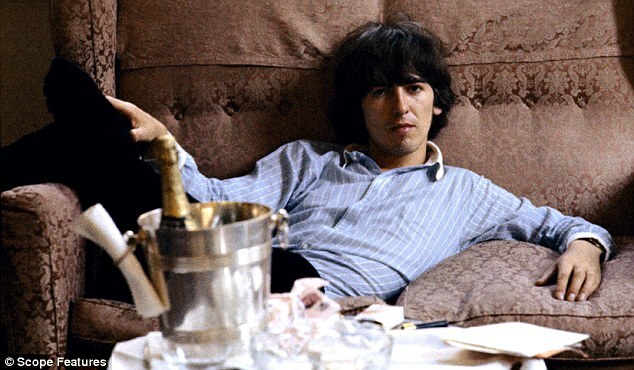 Barely a week into recording what would become The Beatles’ final album Let It Be, George Harrison was ready to quit. He was no longer willing to fulfil a subservient role in the band, and by lunch on January 10, 1969, things came to a head. Having rowed with Paul McCartney over what to play, or rather what not to play, on the track Two Of Us – ‘Whatever it is that will please you, I’ll do it,’ said Harrison acidly – during a break he told his band mates he was leaving. Harrison and McCartney had had a fractious relationship since meeting at the Liverpool Institute. The junior partner by eight months, George chafed at Paul’s domineering streak, and grew increasingly angry at being treated like a glorified session-man. Harrison’s friend and fellow guitarist Peter Frampton recalls being with Harrison in 1971. A rare piece of music history will come up for grabs when John Lennon’s childhood home goes under the hammer later this month. The Beatles star lived at 9, Newcastle Road in Wavertree, Liverpool, from his birth on October 9, 1940, until 1942 and then again from 1943 to 1946. After his parents’ marriage crumbled, Lennon had a troubled time, moving from home to home and from carer to carer—his maternal aunt, his father, his paternal uncle, his mother—before eventually settling with his maternal aunt at Mendips, in Liverpool’s busy Menlove Avenue, where he stayed until 1963. However, his mother moved back for a time into 9, Newcastle Road with her new partner and their first child, and Lennon repeatedly visited them there. Labels: auction, Cavern Club, childhood home, for sale, john lennon, Mendips, Thanks MJ! Although Beatles fans will most likely remember Lomax for recording a George Harrison-penned track called "Sour Milk Sea" in 1968, Lomax originally rose to prominence as a member of a Merseybeat group called the Undertakers in the early ’60s. That band's success led to their quickly acquiring the services of Beatles manager Brian Epstein, which eventually led to a friendship with the Beatles and a recording contract with their label, Apple Records. In 1969, Lomax released a highly regarded solo album, Is This What You Want?, on Apple. It was produced by Harrison and featured contributions by Harrison, Paul McCartney, Ringo Starr and Eric Clapton. However, despite its impressive guest list, the album didn't make it past No. 145 on the Billboard album chart. Newly Released Photos of John Lennon!! Beatles' Sons To Form Band? This blog/program is for educational reference and falls under the "fair use" sections of U.S. copyright law. The same such reference applies to songs, images, photos, and names used herein. THE BIG BEAT is presented by Mt San Antonio College's Radio/T.V. Department and KSAK, Walnut. All names, likenesses, and music are property of their respective owners.